The citizens of Silencia have long been suppressed under the iron grip of Major Minus, but now that the loyal soldier Mylo Xyloto has caught a glimpse of a brighter universe, the world starts to change right before his very eyes. Every album begins with the germ of an idea, every song tells a story, and now it is finally revealed that there is a secret other worldly narrative behind Coldplay’s newest hit album and its enigmatic title “Mylo Xyloto.” Three years ago, Coldplay and front man Chris Martin teamed up with Mark Osborne (Kung Fu Panda, MORE, and the upcoming The Little Prince) to create Mylo's epic story that has gone on to inspire chart-toppers like “Every Teardrop Is a Waterfall,” “Paradise,” “Princess of China” and “Hurts Like Heaven” -- which has its own MYLO XYLOTO COMIC-themed music video providing insight into the backstory of this new universe, and a glimpse of Mylo himself. Prepare to experience the world of Coldplay in a whole new way with this brand-new six-issue miniseries! Here’s some big news for both Bongo Comics and Coldplay fans. In anticipation of the release of the six-issue Mylo Xyloto miniseries (which previewed at the San Diego Comic-Con International this past July), Coldplay has unveiled the animated video for “Hurts Like Heaven,” the fifth and final video single to be taken from the band’s hit album Mylo Xyloto. The video, directed by Mark Osborne (Kung Fu Panda, MORE, and the upcoming The Little Prince), charts a graffiti gang's colorful, but doomed rebellion against Major Minus and his oppressive regime. 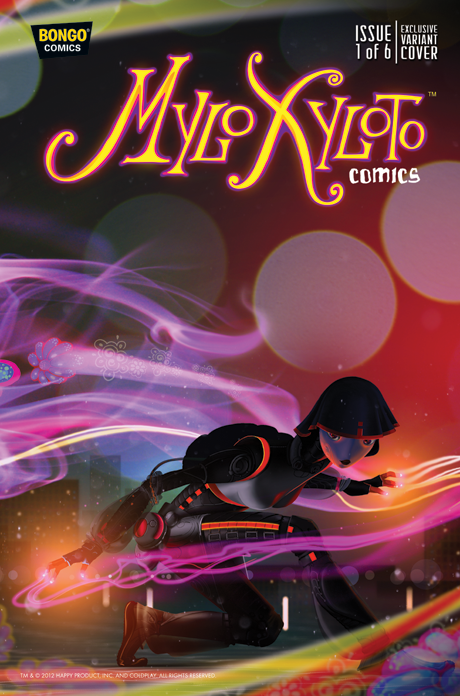 The animated video serves as a prequel to the six-issue Mylo Xyloto monthly comic series to be released by Bongo Comics beginning February 2013. An exclusive making-of film for the video is available to Android users via the Xperia Lounge app (http://cldp.ly/xperialng). The app also features two full tracks from Coldplay’s eagerly-awaited concert film / live album, Live 2012, which will be released on 19 November on CD/DVD, Blu-ray & digitally. Watch the video now at www.coldplay.com and while you are on the site, preorder the entire Mylo Xyloto series. 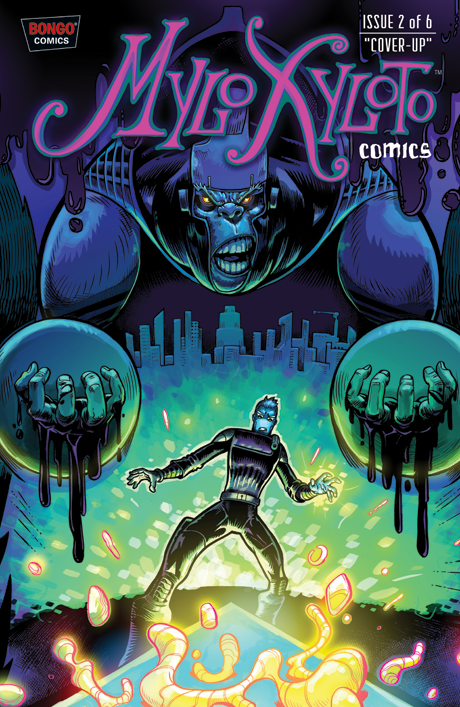 Having entered the charts at Number One in 34 countries and sold more than six million copies, the story behind Coldplay's Mylo Xyloto album is now set to be revealed, with the release of the first of a six-part comic series at this week's San Diego Comic-Con International. The story of Mylo Xyloto was conceived and written by Coldplay alongside Academy Award-nominated writer and director Mark Osborne (Kung Fu Panda, MORE, The SpongeBob SquarePants Movie), and the comics will be published by Matt Groening's celebrated Bongo Comics Group. Said Coldplay on Coldplay.com: "Three years ago we had an idea with our friend Mark Osborne about a character called Mylo Xyloto - "xylo" as in xylophone, "to" as in toe. Gradually Mylo's story and universe came together and this ended up providing the backdrop for the album and tour. Now we're proud to announce that early next year the story is going to come out as a six-part comic. We hope you like it. It was fun making it." Said Mark Osborne: "The comic is the latest expression of a music-driven feature animated film that the band and I started developing several years ago. It is the story of Mylo Xyloto, a young Silencer on the front lines of a war against sound and color in the world of Silencia. Mylo discovers that the enemy he's been trained to hate his whole life might not be the enemy after all. There will hopefully be many, many connections for people who have heard the album. I am beyond thrilled with the way it's turned out." The first issue of Mylo Xyloto will be available, with an exclusive variant cover, at the 2012 San Diego Comic-Con International (12-15 July) at the San Diego Convention Center. On Friday, 13 July, the production team behind the comic will appear at a panel to discuss the series and afterwards will be available for autographs in the official signing area. A limited supply of the exclusive edition of issue one will also be made available via the Coldplay.com Shop. 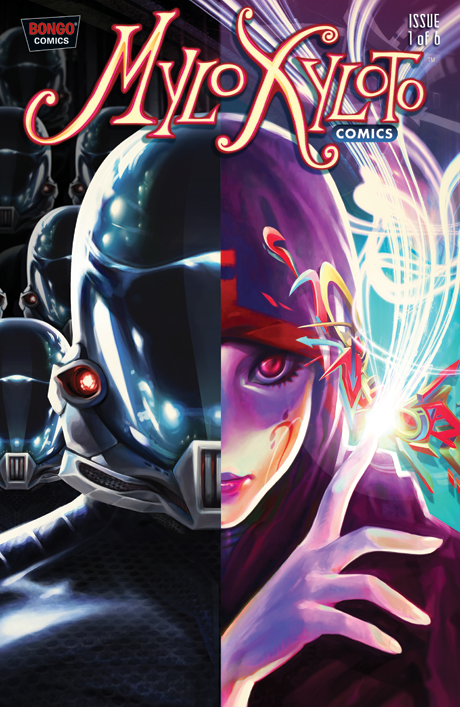 The six-part comic will then be released monthly from February 2013. The series will be available to pre-order via the Coldplay.com Shop soon. For more information (including hi-res images, longer statement from band and full Q&A with Mark Osborne), please see Coldplay.com.